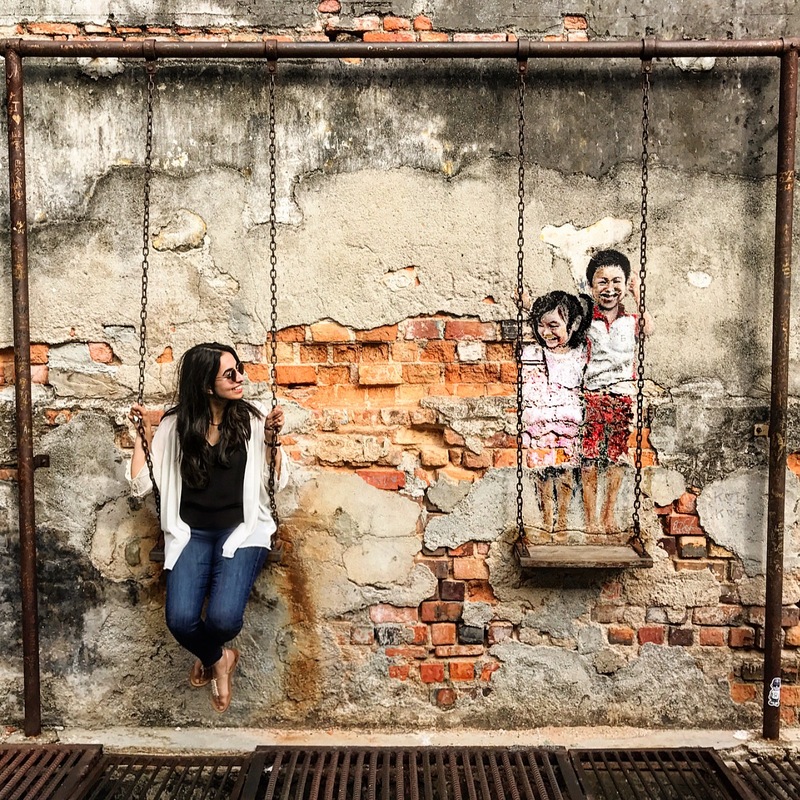 One great thing about procrastinating when you should be studying, is that while sifting through your Instagram feed, you can look at the most amazing food and add to your infinite list of places you must visit soon. Last week, when I stumbled upon Christopher’s post, regarding their pancake day custom menu (in celebration of Tuesday’s Pancake day), I knew that I now had plans for the weekend. It was a great excuse to finally brunch at one of London’s finest restaurants. 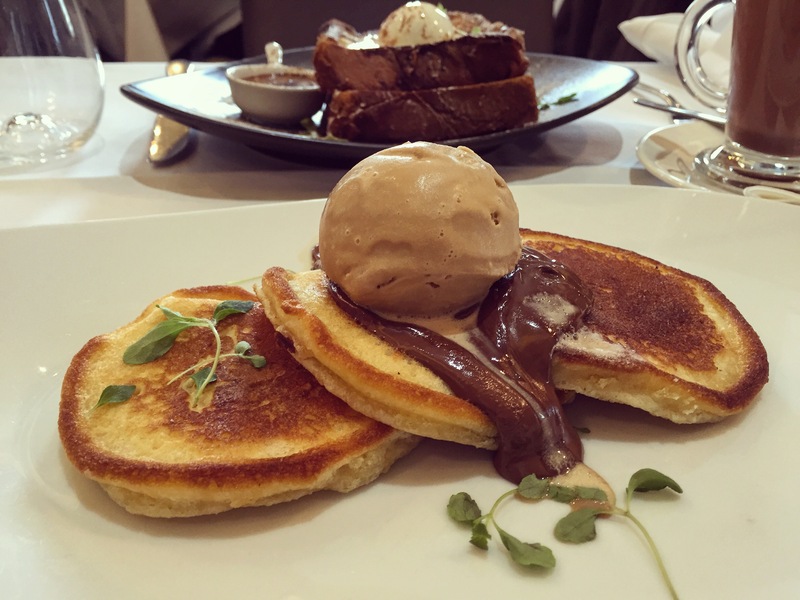 A opted for buttermilk pancakes, salted caramel ice cream and Valrhona chocolate sauce – taking full advantage of the custom pancakes offering at Christopher’s. The pancakes were light and fluffy, and the ice cream worked extremely well. We were slightly underwhelmed by the presentation, but the pancakes themselves were great and on par with the offerings at places like The Breakfast Club. My initial disappointment of having to take one for the team, and letting A get the pancakes, did not last long. I was extremely impressed with this French toast. 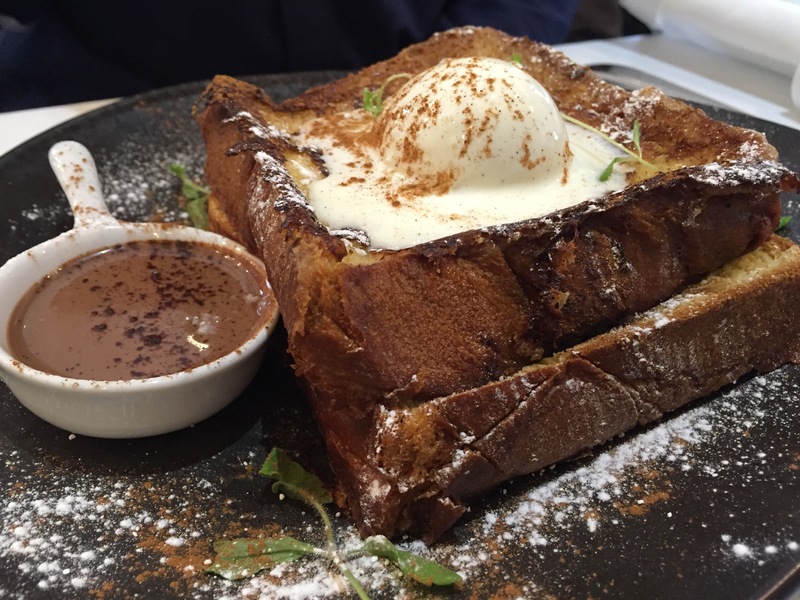 We opted for the milk chocolate option served with vanilla ice cream, but Christopher’s also serve a brioche French toast served with peaches and maple syrup. Christopher’s had sandwiched the chocolate between the two slices and you also were provided with supplementary chocolate sauce to drizzle over the toast. Almost every bite of the French toast gave me that warm fuzzy feeling inside. I felt the centre was slightly too eggy and gooey for my liking, but overall, this was a great dish and I will definitely be returning soon to enjoy some more! N.B. Halal meat is available upon prior request.